Help your international workforce gain financial independence sooner, at no cost to your company. Give your team a benefit with real value - help them lessen the stress of their international student loan. Prodigy Finance has designed an international student loan refinance product that saves each customer more than $20,000 over the lifetime of their loan*. Help your international employees lower their rates so they can focus on what’s really important. The best part? Building an engaged and productive workforce through refinance comes at no cost to your organisation. 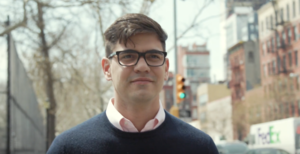 Hear from international working graduate Jaime on how he cut his repayment time in half. Discover more educational resources to empower your international workforce. **Saving is based on a representative variable APR of 6.46%. Savings calculation of over $20,000 is based on the following terms: i) the interest rate applicable to the loan offered by Prodigy Finance is at least 2% less than the rate applicable to the current 3rd party loan, ii) the term of the loan is the same or shorter as the term applicable to the current 3rd party loan; iii) the interest rate remains the same over the terms of the loan, iv) instalments are paid monthly before the due date, and v) no partial of full repayments are made before the end of the term. Illustrative example: Current student loan: $100,000 at 8.49% APR with 15-years remaining on the loan; compared with Prodigy Finance refinanced loan: $100 000 at 6.46% APR with a 15-year loan term. *** Over the 3-month USD Libor base rate. This minimum margin rate is subject to change. If you are approved for a loan, the interest rate will depend on your credit profile, your application and loan term.